Remember last week when we had a brief reprieve from an epically busy summer of music? Yeah, that's over now. I hope you enjoyed the breather, because this might be the busiest week on the local scene all year. So much so that I will once again make my annual (semi-facetious) plea to the area's promoters and talent buyers: Share a friggin' Google calendar already! Not to look a gift horse in the mouth, but we've really got to work on spreading some of this stuff out, people. With the Lake Champlain Maritime Festival, the Manifestivus, a Fest for Wes, the Festival of Fools, rock-and-roll cruises on the lake, numerous after-parties, the Envy reunion and about 362 other notable events crammed into the next seven days ... well, I'm exhausted just thinking about it. So let's break it all down, shall we? We begin at Waterfront Park in Burlington, where the LCMF sets sail this Friday through Sunday, July 29 through 31. The big story here is Twiddle. The local jam stalwarts are hosting a two-day mini-festival on Friday and Saturday — see the spotlight. Then on Sunday, it's Grammy-nominated folk-pop trio the Lumineers playing a waterfront show with Langhorne Slim & the Law and Rayland Baxter. Those shows will cost you a pretty penny — and the Lumineers are sold out. But there is, as always, plenty of cool free music on the LCMF undercard. Friday, catch local fiddler Ida Mae Specker with songwriter Faith Wood and banjo player Rachel Leader. Boston's the Adam Ezra Group follow — and get my vote for Most Hyperbolic Press Clipping of the Week with this nugget from WERS radio general manager Jack Casey in Boston: "Not since Springsteen and Bono have I seen a lead singer with his talent and charisma." Settle down, Jack. Highlights on Sunday include local folk duo the Beerworth Sisters, songwriter Steve Hartmann and veteran local rocker Aaron Flinn. Jack Casey has no opinion on those folks. But I think all three are the cat's pajamas, so there. If you're not all wiggled out after big shows Friday and Saturday, check the Tumble Down after-parties both nights at the Higher Ground Ballroom — discounted admission with your ticket stub, of course. Friday, it's Kitchen Cabinet, which is a newgrass superjam featuring members of Cabinet and the Kitchen Dwellers, both of whom play the LCMF earlier. Expect some special guests, too — I'm guessing from a band that rhymes with "fiddle." Saturday, Twiddle's Mihali Savoulidis hosts his own jam at the Ballroom, with as-yet-unnamed special guests. But wait, there's more! Also on Saturday, the fine folks at Nectar's host a Tumble Down pre-party brunch with local Jerry Garcia Band tributeers Cats Under the Stars and Holly Bowling, who plays the festival both days. If you're unfamiliar, Bowling is also a tribute act — though sadly not to 1990s ska band Let's Go Bowling. She's a classically trained pianist who adapts recordings of live Phish songs to solo piano. And speaking of Nectar's, the club is hosting a rock cruise Friday on the Lake Champlain Ferry, dubbed Jagg Off: A Mick Jagger Birthday Spectacular. The show features Josh Panda & Some Girls, with Panda in the Jagger role, ripping through a choice selection of Rolling Stones hits. Once the boat docks, catch the after-party at Club Metronome: The Primate Fiasco presents the Dylan Disco. This show is exactly what it sounds like: PF filtering Bob Dylan through their singular brand of upbeat jazz and Americana. The other big festival this week is the 13th annual Manifestivus in Cabot, which runs Friday and Saturday, July 29 and 30. The co-headliners, Talib Kweli and Collie Buddz, are pretty glitzy — see the spotlight on page 68. But the rest of the slate ain't bad, either, especially if you're a reggae fan. Kicking the island vibes in central VT this weekend are Vaughn Benjamin of Midnite and his new band, the Akae Beka. There's also something called a Special Dub in the Woods session with Laurent "Tippy I" Alfred of I Grade Records, as well as a set from the Fear Nuttin Band. On the non-irie slate, see festival founder David Pransky's (Toubab Krewe) new project, Cast of Characters, a solo set from Pete Bernhard of the Devil Makes Three and the Huntress and Holder of Hands, which is a new project from Morganeve Swain, formerly of Brown Bird. For the full schedule and ticket info, visit manifestivus.com. In other fest news, the sixth annual Fest for Wes run is this Saturday, July 30, in Windsor. A benefit for the Westley Crawford Memorial Fund, each year the festival provides a scholarship for one graduating senior from Hartford High School. If the lineup is any indication, it should be a sizable scholarship in 2016. Local highlights include Mister Burns, Maiden Voyage, Coquette, Binger, Rumblecat, Mertz and SkySplitterInk, among others. That's in addition to headliners Political Animals, from New Haven, Conn. For more, find A Fest for Wes on Facebook. One more festie tidbit: The ninth annual Festival of Fools runs this Friday through Sunday, July 29 through 31, at locations all over Burlington. Though it's more of an eclectic performance arts festival than strictly a music festival, there's a significant musical component, with a series of outdoor stages downtown, including in City Hall Park, at Red Square and on the top block of the Church Street Marketplace. Friday's highlights include the worldly sounds of Red Baraat and Daby Touré, as well as local rockers the Aerolites. 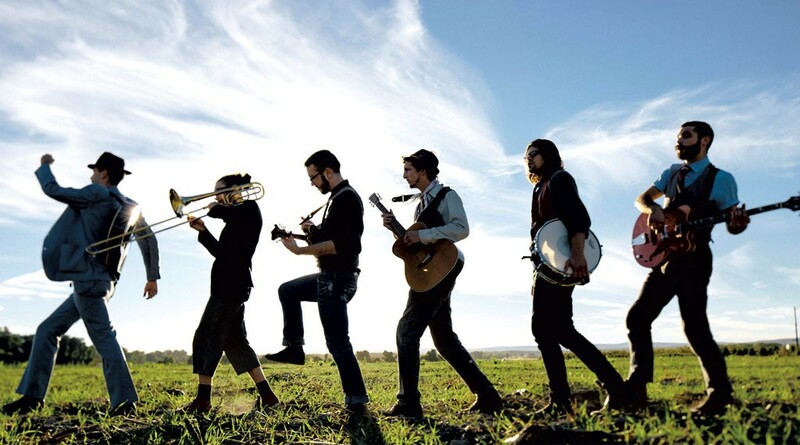 Saturday's lineup includes local cumbia ensemble Mal Maiz, BTV gypsy-jazz outfit the Queen City Hot Club, Haiti's Lakou Mizik, Northampton gypsy punks Bella's Bartok and local honky-tonk hero Eric George. Close out your weekend Sunday with a special kid-friendly performance from Steady Betty's Linda Bassick, followed by the experimental strains of the Static Circus and locals the Zach Rhoads Trio. Welcome back, Gregory Douglass. The prodigal popsmith, who is now based in LA, makes his return to Vermont this Thursday, July 28, for a show at the Higher Ground Showcase Lounge. Douglass is touring in support of his new album, My Hero, the Enemy, which our pal Jack Casey calls "probably the finest album of Douglass' career." Oops. Actually, I wrote that when I reviewed the album last December. And I stand by it. That record is a gem. Last but not least, even with everything going on this week, I'm looking forward to one show more than all the others: the Envy reunion at the Monkey House on Thursday, July 28. 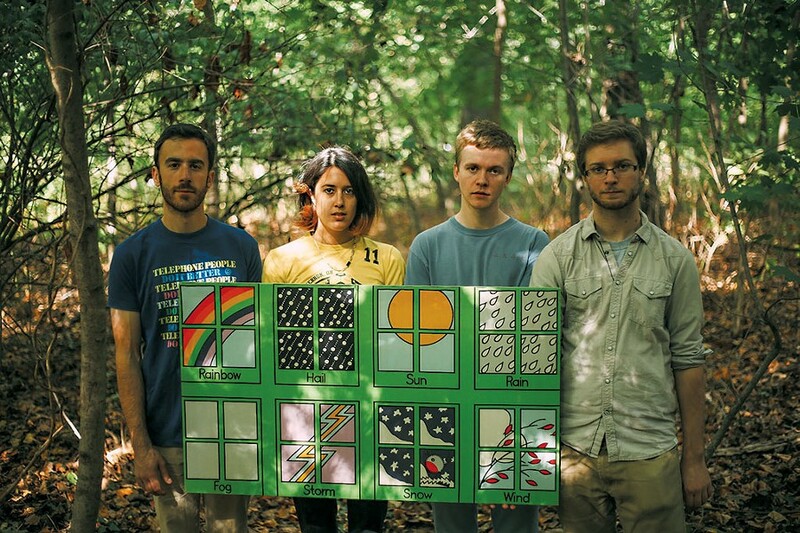 But another comes in a very close second: Pinegrove at Signal Kitchen on Wednesday, August 3. Pinegrove's 2016 album, Cardinal, is my favorite album of the year. I was explaining the band to a friend recently and described them as "emo for grown-ups," which I think is pretty accurate. There are elements of twang, indie and even math rock in the mix. But, at its heart, Pinegrove's music cuts a genuine emotional swath with wit and sophistication, and that's just about irresistible to these ears. And the band is even better live, as I discovered when I caught them as an opening act at Higher Ground a few months ago.